Wherever and whenever you need us in Florida, we'll be there for you. As a full service, institutional pharmacy group, Guardian Pharmacy of Florida is not your ordinary pharmacy. We recognize that the right pharmacy partner can have a significant impact on the success of your community. Through seven locally owned and operated pharmacies, we seamlessly serve assisted living and skilled nursing communities of all sizes throughout our state and select areas of southern Alabama. We provide the products, services, knowledge and training to help your staff focus on what’s most important – exceptional resident care. 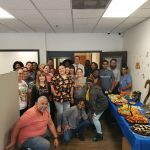 We are part of Guardian Pharmacy, one of the largest and fastest-growing institutional pharmacy companies in the U.S. Guardian’s Atlanta Team assists with the time-consuming day-to-day business operations like payroll, human resources, recruiting and contracting. Yet the decisions about how best to serve our markets are made locally, quickly, and without all of the red tape typically associated with large pharmacy providers. By staying very close to our customers, we ensure that we understand their needs and requirements and can act quickly to meet them. Our goal: superior customer attention tailored to your specific needs, with rapid response and 24/7 service. Choose the location nearest you to explore the services we offer and to understand how Guardian provides a better way to serve care-giving institutions and their residents. Guardian Pharmacy of Orlando Turns 2! Guardian Pharmacy of Orlando celebrated its 2nd birthday in March. 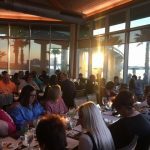 The Assisted Living Association of Alabama recently held its spring conference in Gulf Shores, Alabama. Guardian Pharmacy of NW Florida was so honored to be a part of such a great event.